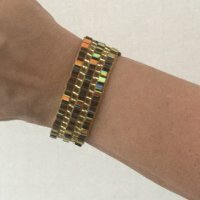 This course will offer you the chance to evolve and refine your jewellery making skills and techniques. Both beginnners and improvers are welcome. 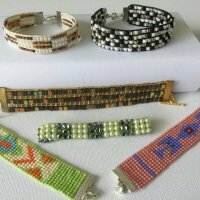 The area of jewellery making this April is loom beading. If you like the look of seed beading but find this too time consuming or fussy than try using a beading loom. The design possibilities are endless. If you think this course is for you, use the ‘Contact Me’ page, stating your area of expertise and I will send you (via email) a 4 week plan. Please note the ‘Starting out with Jewellery Making’ course is still available. Time: Four 2 hour sessions. Dates and venue open to negotiation.